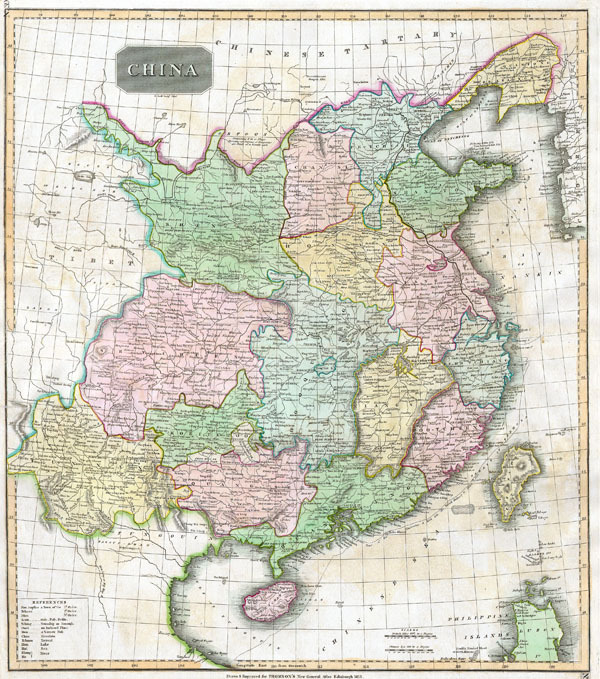 This fascinating hand colored 1814 map by Edinburgh cartographer John Thomson depicts China. Shows the Great Wall of China as the northern boundary. Extends as far west as the Tibetan plateau and as far south as the old Vietnamese/Chinese Kingdom of Tonkin or Tungouin (as labeled). Includes important early shipping routes from India to Beijing and curious notes about the nomadic people to the north of China (the Ortoos and the Eluts of Koko Nor).